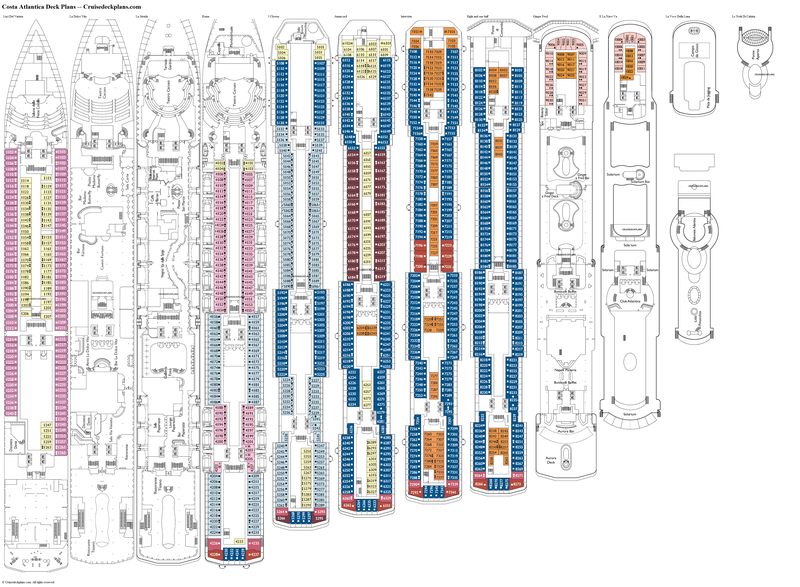 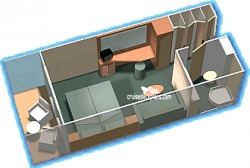 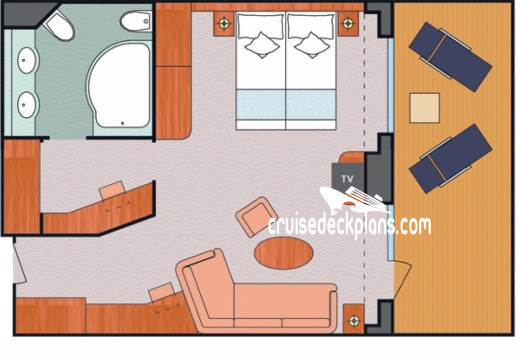 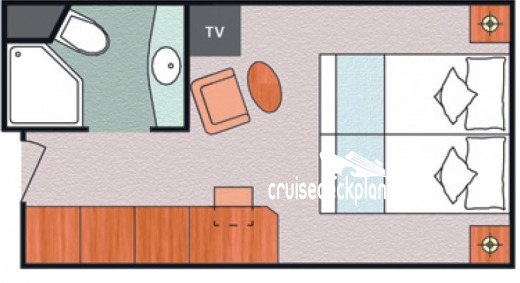 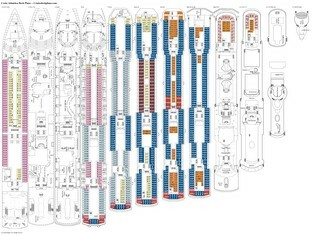 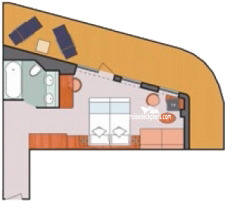 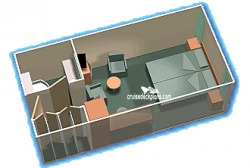 Midship staterooms are 372 square feet with 118 square foot balcony. 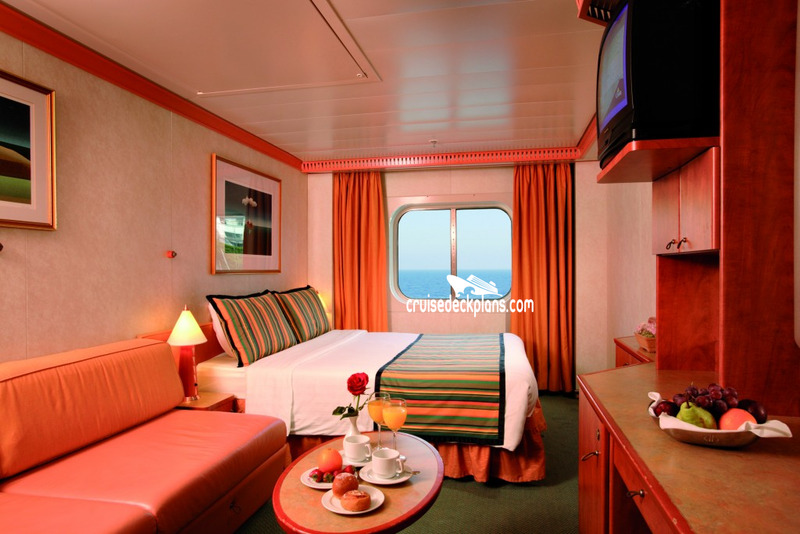 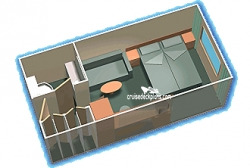 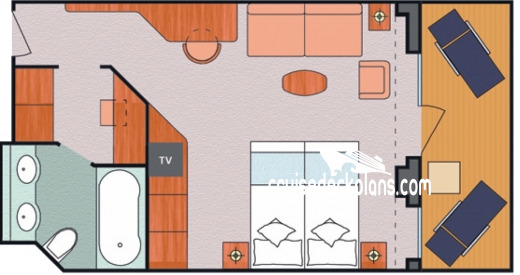 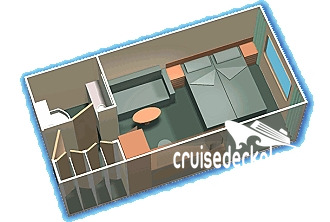 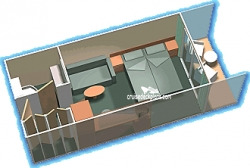 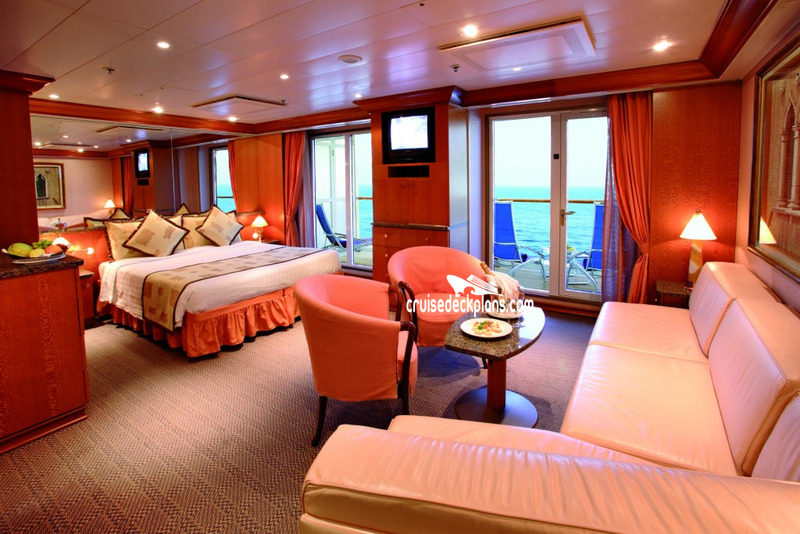 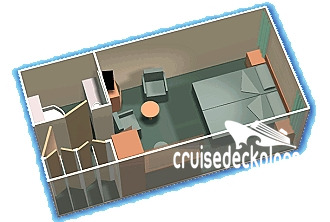 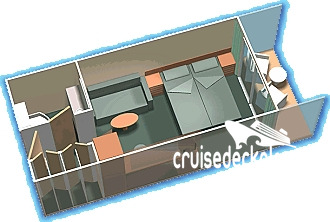 Midship staterooms are 270 square feet with 90 square foot balcony. 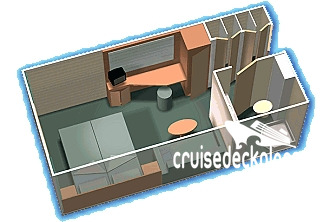 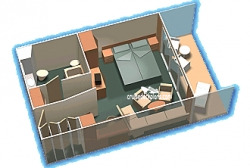 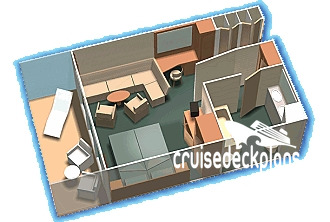 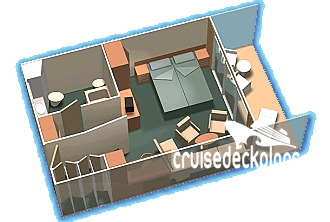 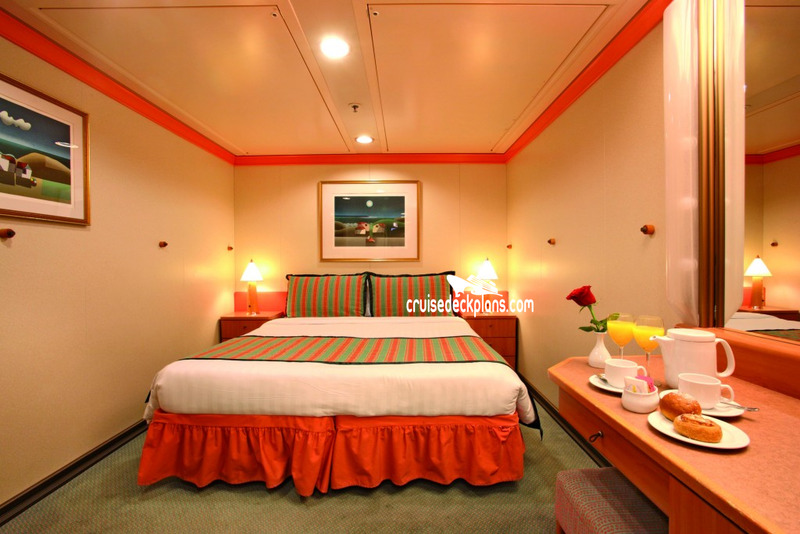 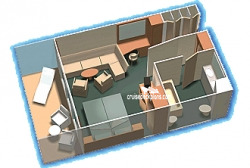 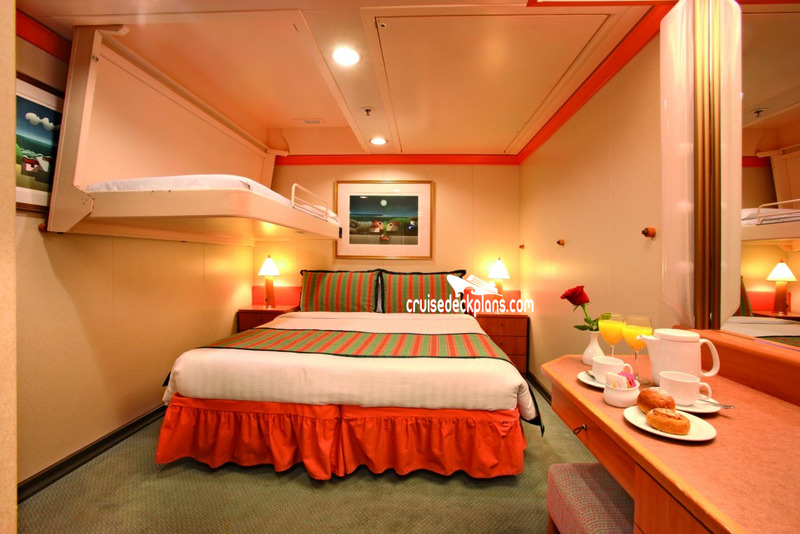 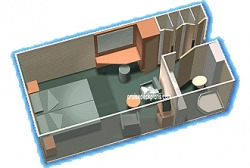 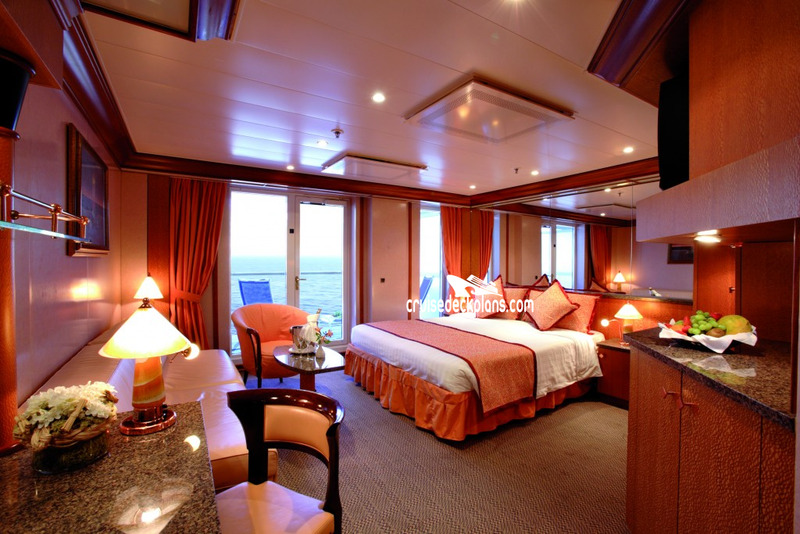 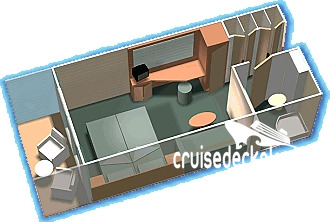 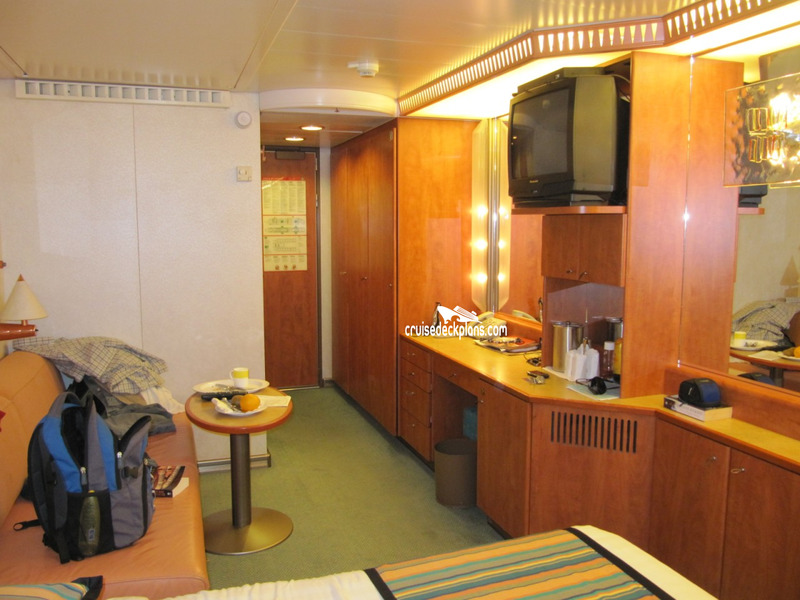 Some staterooms 360 square feet with 40 square foot balcony. 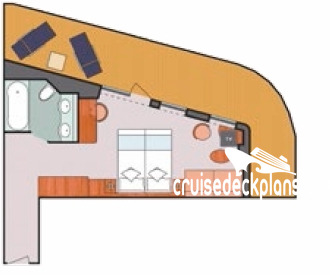 Category B9 and B8 have 50% plus extended balcony. 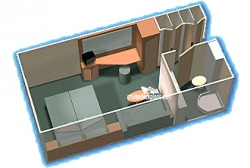 Category B9 is also a slighly larger room. 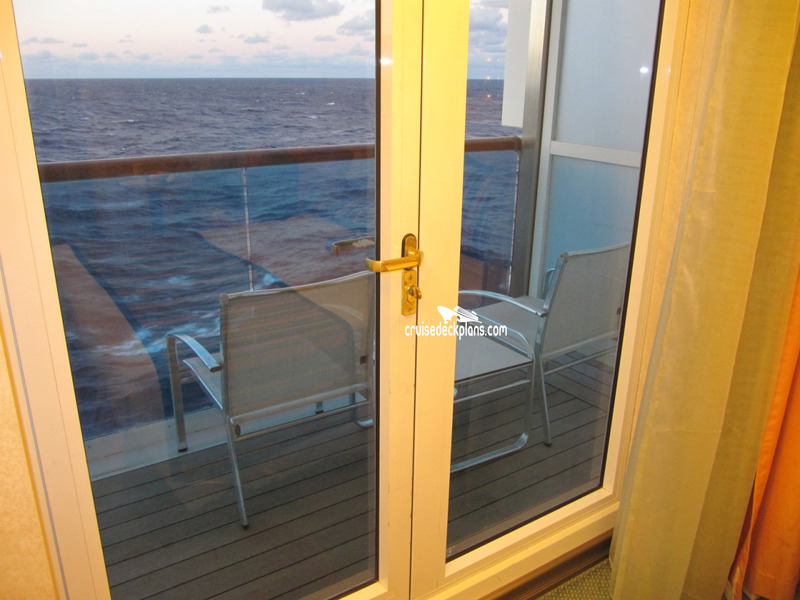 - Category E1 typically has French doors with railing and are obstructed by lifeboats. 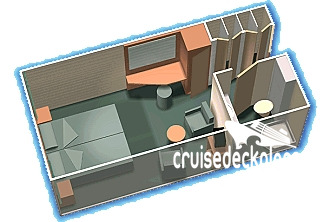 This ship is being sold to CSSC (China State Shipbuilding Corporation) by the end of 2019.